Not sure of what makeup you should wear for your friends Mehndi tomorrow? we are happy to help. Sohni Juneja Party makeover will definitely make you the centre of attraction of the Party. If you want amazing makeup styles, then you are at the right place. As trends change rapidly with the changing time. 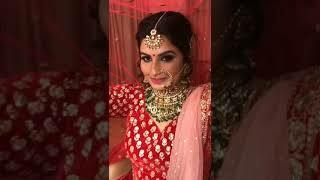 Professional makeup artist, Sohni Juneja provides makeup with best products that suits your skin perfectly and covers all the imperfections of the skin. Latest makeup techniques are used in providing the best ever makeup by Sohni Juneja. She has exclusive beauty product packs to offer her clients so that their skin will look fresh and attractive. So, if you are going to someone’s party but seems to be confused about the perfect look you should have for party, then make an appointment with Sohni Juneja and be prepared for the wonderful amazing look you wish to achieve. You can fix your Makeup apointment at our saloon or get the Party Makeup Services at home. your appointment with Best Party Makeup Services in Delhi.